** Do Politicians Spin the Truth, or even Lie to you? Who can you Trust? There, now wasn't that easy? If you don't want a gun to protect yourself, no problem, don't carry one. But what gives you the right to insist that everyone else must follow your example? Does one size fit all? all . Suppose they see a lack of wisdom in your approach and disagree with you? Do you believe you're infallible like the Roman Catholic pope? Have you ever made a mistake? There's a dilemma here: Why should you impose your opinions on other people? Why shouldn't you be forced to follow them and they impose their views on you instead? How best to resolve this conundrum? All but dictators and religious fanatics realize that the only viable solution is for you both to be free to follow your own path. When you make a mistake, then only you suffer the unpleasant consequences. Freedom allows the most effective strategies to become obvious. we shall disarm it ourselves." “All political power comes from the barrel of a gun. The Communist Party must command all the guns, that way no guns can ever be used to command the Communist Party." Despite the misleading words of many politicians, exploring the experiences of others does give enormous clarity. Is it better to need a gun and not have it? Or to have a gun and not need it? The guns carried by the president's security personnel protect the president. The firearms carried by Israeli teachers protect their kids. And, where allowed in America, guns carried by American teachers also protect your kids. 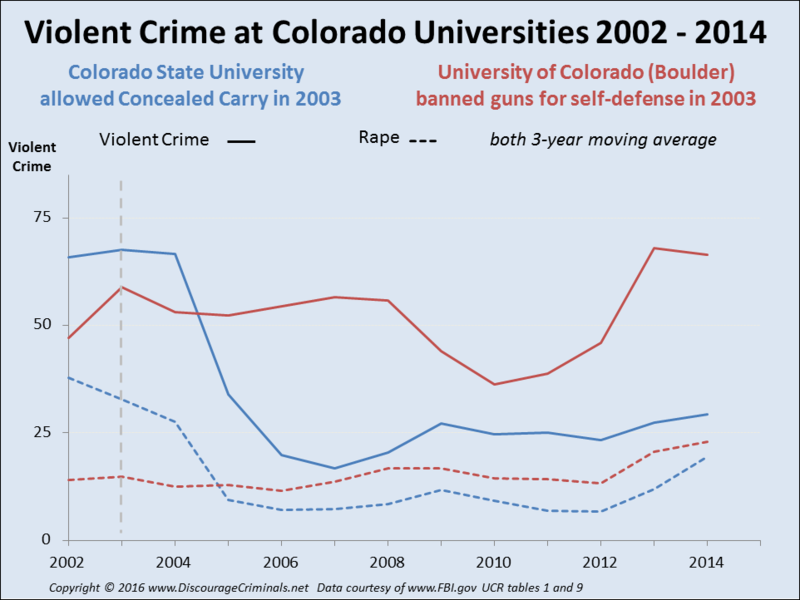 The evidence is clear, guns are carried to protect the innocent in schools, in cinemas, and in other countries. You have the right to protect yourself however you see best. 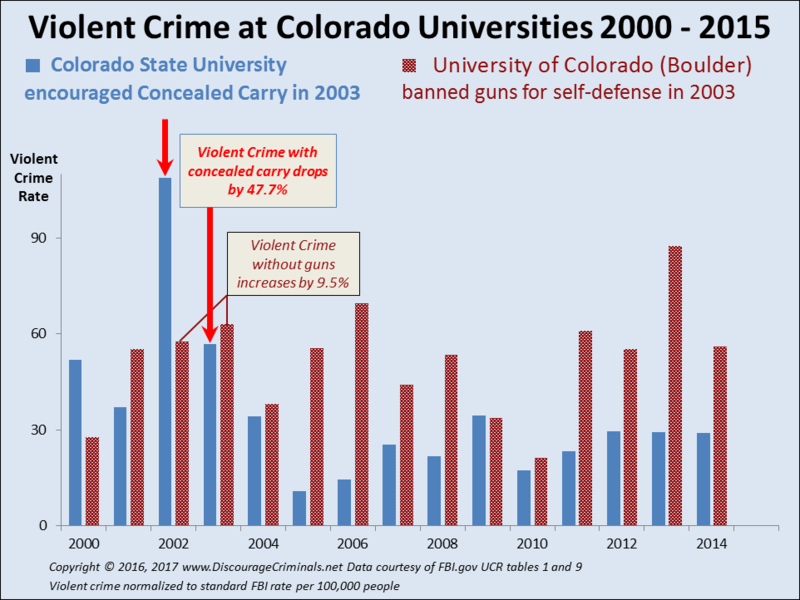 And the evidence shows that firearms in your own responsible hands offer you the most protection. 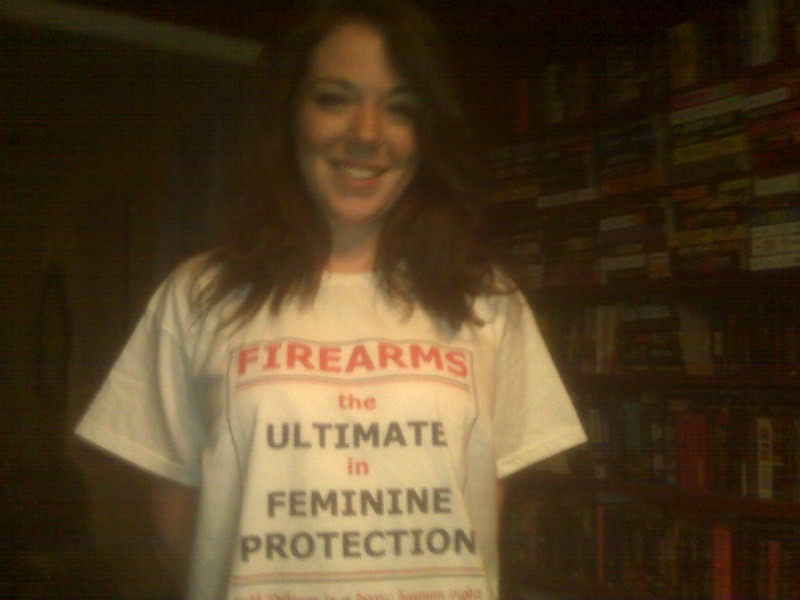 As this really cool t-shirt slogan says: Firearms - the ultimate in feminine protection! How can you ensure your family's continued safety? How do you reduce the number slaughtered by deranged individuals? 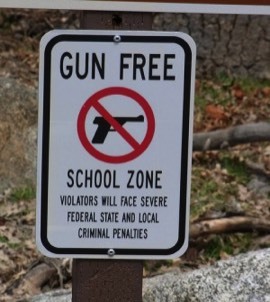 Although there had been no school massacres the Federal Gun Free School Zones Act was passed in 1990, both Columbine and Sandy Hook were gun free zones. "Everybody has their own opinion, but not their own facts," said the late Democratic senator Daniel Patrick Moynihan, former ambassador and presidential adviser renown for his insights and scholarly intellect. The empirical (experiential) evidence is overwhelming, it conclusively proves that that guns in the hands of homeowners deter criminals. Police cannot respond instantaneously to any emergency, and response times vary significantly. As one police officer honestly admitted, Ninety-five percent of the time, we get to the scene late. Gun-free zones simply ensure that nobody responsible has a gun to stop deranged individuals, violent criminals or a spree shooter. The Batman movie shooter went to the only gun-free cinema around, passing others closer which allowed concealed carry. Spree shooters avoid places with armed citizens. Both UK and Australia have MORE violent crimes - not less - after imposing their stringent gun bans. Overwhelming numbers of police and other professional crime-fighters see gun control as either having a NEGATIVE EFFECT on reducing violent crime - or doing nothing. Politicians are indeed experts. But they're experts in sounding sincere and gaining your vote, NOT in protecting citizens and students and your children. Criminals and the mentally disturbed do not obtain their weapons legally, so even more gun laws do little or nothing to stop spree shooters and criminals. One-size-fits-all solutions rarely if ever work. With one single solution, there's no choice, no different strategies to compare, and therefore it's impossible to choose the best - the most effective one. 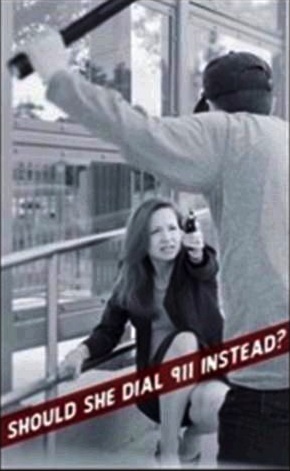 Should she dial 911 instead? There's a vast difference between defense and offense gun usage. The term gun violence is designed to obscure that difference. Responsible people use a gun for defense, while criminals, rapists, and the deranged use guns offensively. Real protection experts know what actually works, but how can those without experience - politicians and arrogant wannabes who have never fired a gun - know? Whose advice should you follow? Responsible people continue to act responsibly when they chose to carry a firearm for defense. Although criminals and deranged individuals use firearms to kill people, the gun itself bears no responsibility - firearms do not act on their own accord. People use guns to kill other people, or to defend themselves. Criminals and deranged individuals do not obey the law! Since the only thing that stops a spree shooter is a bullet, the sooner he gets that bullet the less innocent women and children he can murder. So how do you persuade your family and friends to protect themselves? "Through clever and constant application of propaganda [misinformation, spin], people can be made to see paradise as hell, and also the other way round, to consider the most wretched sort of life as paradise."